Kelsey had dreamed of this day for 10 years! And gosh - was it beautiful in every way. Kelsey & I met over 18 months ago - and it has been nothing but beautiful getting to know both her and Logan. 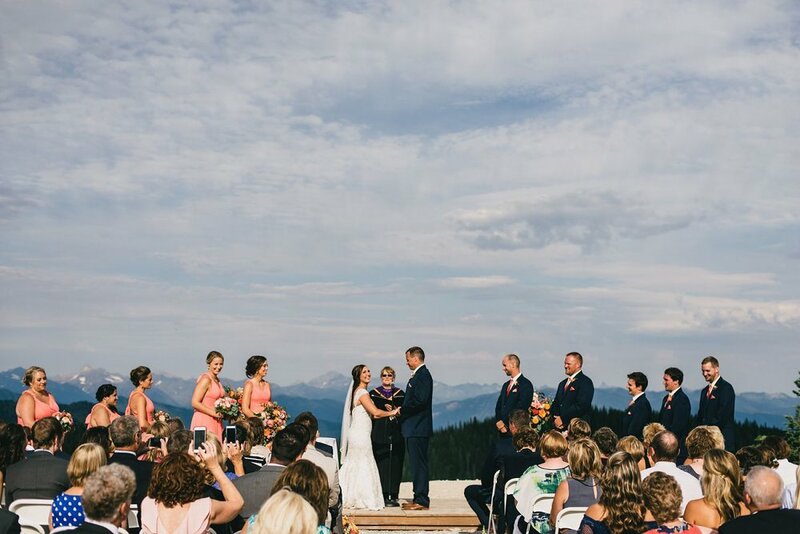 Whitefish Mountain Resort has a lot of significance to both Logan & Kelsey. 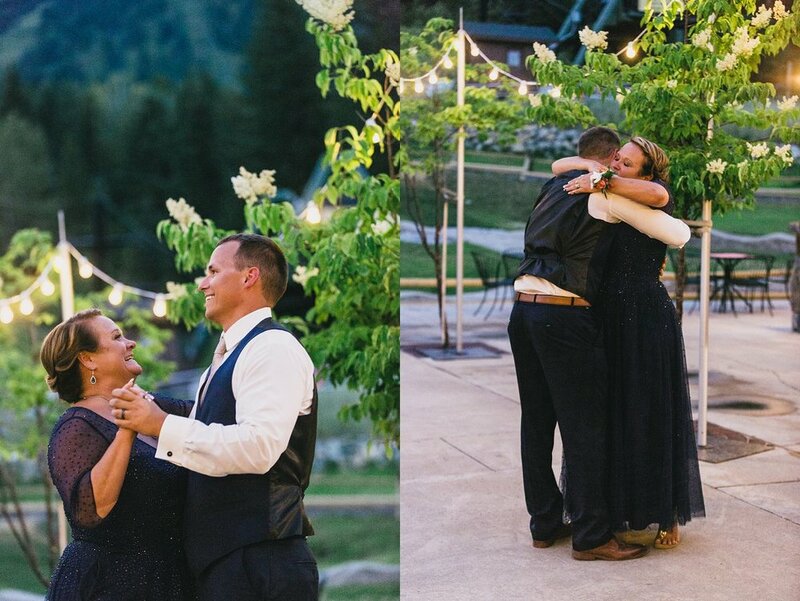 10 years dating, not only did Logan propose to Kelsey at the top of the summit - but Logan was the first boyfriend Kelsey had ever brought on vacation and it was to WMR. Logan learned to ski with Kelsey's family at the resort, and then they began to vacation in Whitefish nearly every summer and winter so it became a really special place in their heart. Kelsey's dress, gosh! I have never seen anything like it before and love that it is so different. It was champagne colored with lace and jeweled details. The cap sleeves and gorgeous detailed train carried a beautiful pattern all the way down to the end of it. Both Kelsey & her mom cried when she tried on the dress. And to be honest - I teared up when I first saw Kelsey in this dress too! The sun peaked through the clouds just moments before their first kiss as husband & wife. Kelsey's expression of pure joy is priceless! I LOVE MOMENTS LIKE THIS! Thank you Logan & Kelsey for letting me share in your day, and capture you both! Makeup Artist: Bridal Beauty by Angie D.